The $40 million dollar Health and RecPlex is the most comprehensive athletic and wellness facility ever built in Winnipeg’s inner city. 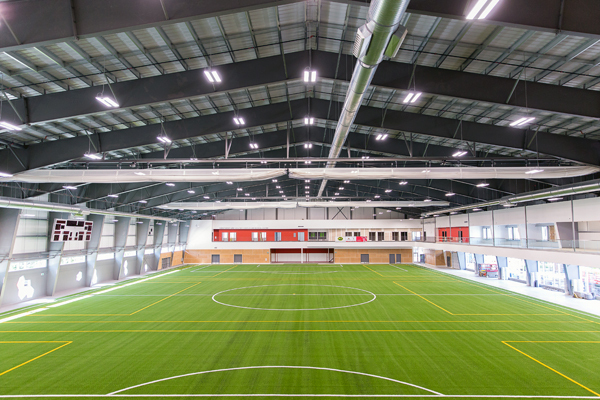 It is a state of the art, indoor green space that can accommodate a multitude of sports such as soccer, flag football and track and field, as well as cultural and community events. The RecPlex includes a large multi-use artificial turf field, a four-lane rubberized sprint track, a practice gym and a multi-purpose room. To book the RecPlex please call: Stefanie Esposito at 204.988.7656 or st.esposito@uwinnipeg.ca.